One of my favorite family traditions is to read together. Though my daughter is now 24, we continue to enjoy our favorite reads when she is home for the holidays — and chief among our reads are many picture books. With it’s dramatic prose and breath-taking illustrations — though a wonderful read for any day of the year — Behold the Trees is a perfect read for Tu B’Shevat. Leonid Gore’s stunning illustrations and Sue Alexander’s dramatic prose tell the story of Israel through the fate of its trees. 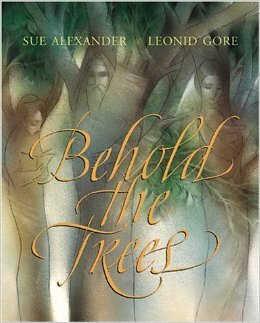 A beautiful and stirring children’s book, dramatizing a story of destruction and renewal, Behold the Trees is a book for all ages.